Home » Posts » Blogs » Why is LASIK Laser Eye Surgery more expensive than others? Why is LASIK Laser Eye Surgery more expensive than others? Usually there are two types of laser eye surgery offered by eye clinics: LASEK and LASIK. But why is LASIK laser eye surgery more expensive than other forms of laser eye surgery? Lets start with LASEK (Laser Assisted Sub-Epithelial Keratomileusis). A form of PRK, LASEK uses alcohol in a solution to first soften then remove the epithelium. After the Excimer laser reshapes the stroma to correct the vision, the epithelium is replaced. PRK surgeries all involve a surface ablation technique to remove the cornea’s outermost layer, called the epithelium, rather than creating a flap via a cutting technique, as is used in LASIK procedures. Removing the epithelium is the first step, and is followed by reshaping the cornea using an Excimer laser. Here, the model of laser varies, as do the guidance or mapping systems associated with each model. The more precise the mapping and reshaping system, the better the results. LASIK (Laser-Assisted In Situ Keratomileusis): AVC uses an Advanced Wavefront Intralase to map the eye and an Excimer laser to reshape the eye. After the procedure, the flap is returned to its position. This is painless for most patients, and, unlike PRK techniques, vision is immediately corrected, though some blurriness may be present for the first 24 hours and vision will improve over a period of week. Conventional LASIK uses a femtosecond Intralase laser to make the corneal flap, rather than a metal blade. This allows a much thinner flap to be created, and eliminates imperfections caused by a metal blade. This is regarded as a far superior method for corneal flap creation. The only drawbacks are that it takes about a minute to create a flap, rather than seconds, and it is more expensive. Also, if an Excimer laser is used without Wavefront technology, imperfections can still result from the second step of the procedure: the actual reshaping of the eye. LASIK really combines the best of all worlds. It uses a laser to create a cornea flap, and Wavefront technology to guide the Excimer laser for the best possible results. For this reason, it is also the most expensive type of laser eye surgery. What is the baseline of expectation associated with the particular type of laser eye surgery? How accurate is the mapping/reshaping process? What percentage of people require a second procedure? What percentage of people have halo, glare or night vision problems afterwards. The most advanced techniques that carry the least amount of risk of side effects are often more expensive. RK (Radial Keratotomy) is an obsolete form of corrective eye surgery that reshaped the cornea by making a series of radial slits. It predates the Excimer laser, and people who had RK may benefit from PRK or LASIK today. Not everyone is a candidate for laser eye surgery. There are alternative non-Laser vision correction techniques including Implantable Contact Lenses (ICL) and Lens Replacement which are more suited to individual needs. 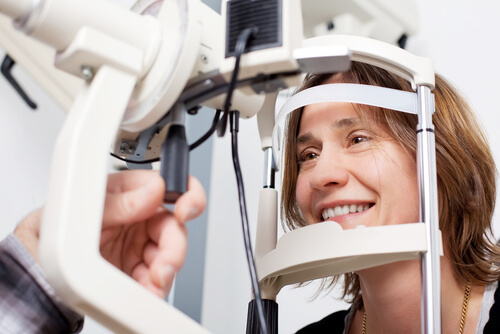 At AVC, our ophthalmologists advise the best course of action to every single individual patient who walks through our doors. We pride ourselves in providing tailor made custom vision correction solutions to our all of our patients. Laser eye surgery is considered to be safe. For more information, patients should consult an ophthalmologist. If you would like to find out if you are suitable for laser eye treatment, then simply complete our short questionnaire and our medical director can advise you on best course of action.